If you have ever lived with a snorer, you certainly have my sympathies; most everybody snores from time to time but when the snoring is more constant it can cause real issues. Apparently, I used to snore and it was likely related to drinking too much alcohol, smoking and being somewhat or a bit more than somewhat out of shape. I often woke up in a partner less bed only to find my long-suffering wife curled up on the living room sofa looking a bit miffed. Not surprising really as nobody likes having their sleep disturbed; once awake, many people find it very difficult to get back to sleep and this can lead to fatigue and tiredness throughout the day. Without enough sleep, you may find it difficult to perform your daily duties or to focus properly at work. You become more irritable and blow things out of proportion. In the long term, sleep deprivation can have some very serious physical and mental repercussions. Snoring can also play a destructive role in your relationship. No matter how much you love your partner, snoring can cause tension to creep into your relationship. When your partner is so disturbed by your snoring that they decide to move into the spare room or onto the sofa, tensions might raise. You will lack the physical intimacy that couples need and might find yourself drifting apart. If you are the snorer in the relationship, you are likely to feel embarrassed and frustrated that your relationship is suffering over a matter that you feel powerless to prevent. Don’t let snoring destroy your relationship; there are a number of things that you can do to help. In my case it was a simple lifestyle change; I stopped drinking and smoking at around the same time that I started exercising more regularly but if your lifestyle is not to blame you might need to try something more proactive. There is some evidence, plenty of which is admittedly anecdotal that essential oils can help in your fight to alleviate snoring and for both you and your partner to get a relaxing night’s sleep. 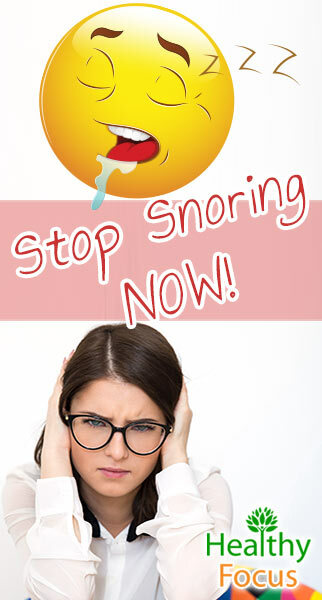 Snoring is very common but is not considered normal. Around 20% of people are regular snorers. Around twice as many men snore compared to women. The three major causes of snoring are smoking, drinking alcohol and being overweight. Snoring can also be a hereditary condition. The snoring sounds are caused by air vibrating in a person’s upper airway structures. Snorers are some three times more at risk of adverse health issues as non-snorers. A person who snores regularly is up to five times more at risk of high blood pressure, heart disease, high cholesterol and type 2 diabetes. If you snore, your bed partner is also likely to suffer from a lack of sleep with many partners reporting they get only around three to five hours of sleep. Over a third of couples report that snoring causes problems in their relationship. If snoring is successfully treated, the majority of bed partners report significant improvements in their mental and physical well-being. Lifestyle changes like quitting smoking, eliminating alcohol or drink in moderation and losing weight are a great way to stop snoring. There are plenty of effective natural treatments for snoring including various essential oils. Essential oils have countless medicinal uses and there is a growing range of essential oils to choose from all of which have powerful medicinal properties. Essential oils are a wonderful, natural alternative to pharmaceuticals in many cases as they don’t cause any of the adverse side effects associated with commercial medications. When choosing your essential oil, make sure that you purchase therapeutic grade oil. Not a great deal of research has been done on the effect of essential oils to treat snoring, but the little that there has been seemed positive. Research carried out in the UK at the Royal Shrewsbury Hospital was published in 2004 suggests that snoring can be effectively treated with essential oils. The research recruited 140 snorers from a snoring clinic who were given a gargle mixture or a spray made from essential oils. A variety of essential oils were used to make the spray and the gargle mixture including thyme, lavender, lemon, and peppermint. The gargle was a mixture of 6 drops of essential oil in a glass of water which was gargled for a full 3 minutes before bedtime. After 14 days, both the snorer and their partners were required to complete a questionnaire and the results were very positive. The partners of 82% of the patients who used the ‘help stop snoring’ spray reported that their partners snoring had reduced while 71% using the gargle reported a reduction. According to the study, the essential oil spray used might have had an action on both the soft palate and possibly even the larger area of the snorer’s pharynx. The researchers speculate that this action is due to the antispasmodic properties of the oils which altered the tone of the snorer’s musculature. The researchers also believe that essential oil increases the flow of blood to the palate causing a slight increase in the plate’s stiffness and thereby reducing fluttering and subsequent noise. 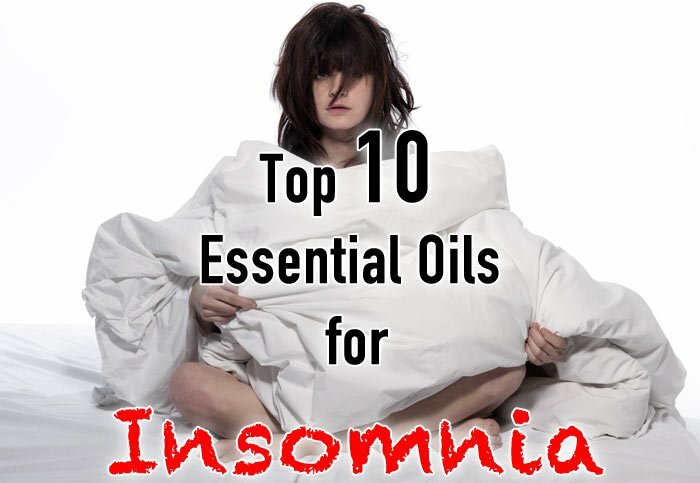 While this list is not exhaustive and there is no guarantee that they will work for you, people have had success in treating snoring with the following essential oils… you can try these oils individually or create your own blend. It is no surprise that lavender essential oil is included in a list for a sleep complaint. Lavender essential oil has soothing qualities and a reputation for promoting a relaxing night’s sleep. Lavender has antispasmodic properties and can help to clear your airwaves; some people say that using lavender essential oil helps to reduce their snoring. Whether or not lavender helps you to stop snoring, we know that it fosters a good night’s sleep. Research at the University of Southampton showed that volunteers slept 20% better on average when lavender essential oil got diffused during the night. Thyme essential oil is well known for its myriad health benefits but in doing research for this article; I have found a number of first-person anecdotes claiming that thyme essential oil works wonders for snoring. Many of these people claiming success recommend applying thyme essential oil directly to the bottom of your feet, specifically the underside of the big toe before going to sleep. Thyme essential oil should always be diluted to a 50:50 ratio with a carrier oil if you are planning to use it topically. Try diluting 4 to 6 drops by mixing it with coconut or almond oil. Eucalyptus essential oil has analgesic, antispasmodic and antiseptic qualities and is used to treat a number of breathing complaints. It has applications for asthma, bronchitis, sinusitis, and coughs and is also used to treat snoring issues. It blends well with lavender, lemon, and thyme. Eucalyptus essential oil is considered safe to apply to apply directly to the skin. Peppermint essential oil is also used to treat breathing difficulties such as asthma and coughs. It has antispasmodic and anti-inflammatory properties and can reduce inflammation in the lining of the nostrils and throat which will help to ease your breathing. You can add 2 or 3 drops of peppermint essential oil to a glass of water and gargle it for 2 or 3 minutes before you go to bed but be careful not to swallow any of it. Tea tree essential oil is also used to combat snoring with many people claiming that it is a very effective remedy. Among its many other uses, marjoram essential oil is used to treat many breathing difficulties including snoring and even sleep apnea. Many people report that marjoram essential oil has reduced or even completely stopped their snoring. Marjoram is a popular ingredient in many ‘stop snoring’ essential oil blends. Chamomile has been linked to relaxation and improved sleep quality. It can be used to help relieve people suffering from sleep apnea and may very well help treat snoring also. When inhaled, chamomile essential oil is safe and effective and will certainly help relax your mind and get an improved night of sleep so it is well worth trying for anybody looking to stop snoring. Frankincense essential oil is especially useful for relieving anxiety and helping your body overcome the stress that could be keeping you awake at night. Its calming and grounding aroma should help you get to sleep more easily while it can also help open your breathing passages and allow more oxygen into your system. Many people have found that as well as helping you sleep better, it can also reduce snoring. Give it a try. Young Living has developed its own essential oil for snoring blending a number of oils that can help improve the body’s balance and reduce snoring. While valor essential oil is comparatively expensive, it may be worth the financial layout if you or your partner have had no success with other remedies. Valor essential oil is a combination of blue tansy, rosewood, frankincense and spruce essential oils. Spruce was used in the study discussed earlier in the article and identified as one of the most effective essential oils to treat snoring. Dilute your essential oil to a 50:50 ratio by mixing 4-6 drops of your essential oil of choice with your favorite carrier oil. Massage the oil into your chest, shoulders, and neck before bed. Alternatively, many people suggest massaging the oil onto the underside of your feet and around your toe area to promote a snore-free sleep. You can make a gargle mixture by adding 2 or 3 drops of essential oil to a glass of water. Gargle for 2 or 3 minutes each night before bed. Diffuser machines are relatively inexpensive these days and are well worth having if you are serious about your essential oil treatments. Most essential oils can be safely diffused but care should be taken with citric essential oils which may damage your machine. If your snoring is caused by congestion, then you could add a couple of drops of essential oil to a sink full of hot water. Simply bend over the sink and hold a towel over your head and shoulders and inhale the steam to clear your airwaves. Put a drop or 2 on a q-tip and dab it on the underside of your nostrils before you go to bed. While there is absolutely no guarantee that essential oils will stop you from snoring or even help you to reduce it, many people have reported great success. If you have already tried other remedies, you and your partner might be at your wit’s end and we feel it is well worth giving essential oils a go…..good luck! You can make your own version of the researched and proven anti-snore gargle/spray by mixing the oils above. (8 drops total) mixed in a glass of water (8oz). Gargle a full 3 minutes before bed. If you have a small spray bottle you should get even better results-like the study. Remember these oils do not “cure” snoring but reduce the vibration/flapping and sounds from snoring via lubrication and toning of certain passages and tissues. If you have sleep apnea or disrupted breathing it is likely a more serious condition than simply being someone who snores loudly.